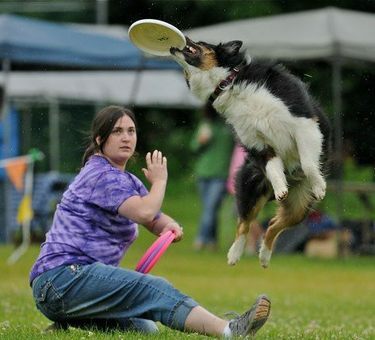 Come learn about the exciting sport of disc dog freestyle! Basic moves and tricks common in freestyle routines will be covered as well as helping teams develop their own tricks. This workshop will also explore different disc grips and releases used in freestyle as well as general throwing tips. Dogs should be chasing, catching and retrieving discs prior to this workshop. * Please note that there is room for auditors to bring and crate a dog. ​Non-working dogs must be quiet and settled in the crate area and NOT out during lecture or while dogs are working.